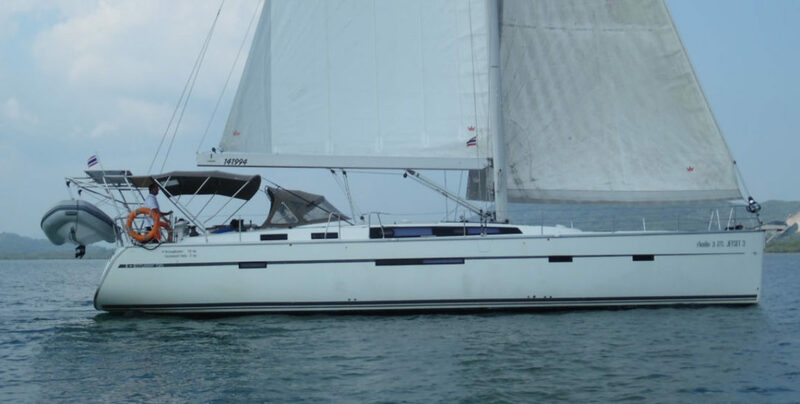 The spacious Beneteau First 45 is a fully equipped yacht can accommodate up to 6 persons. She was completely refitted in 2005/2006 and presents herself in practically new condition. This ‘Fast First’ has a large master cabin in the bow with en-suite shower & toilet, and two nicely sized double cabins in the stern, sharing a toilet/shower. The full range of RYA sailing courses is also available on this yacht – details on request.